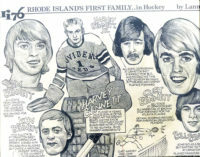 Harvey Bennett played 13 seasons in the American Hockey League and was one of the most successful goaltenders of his era, becoming synonymous with hockey in Rhode Island both during and after his playing career. 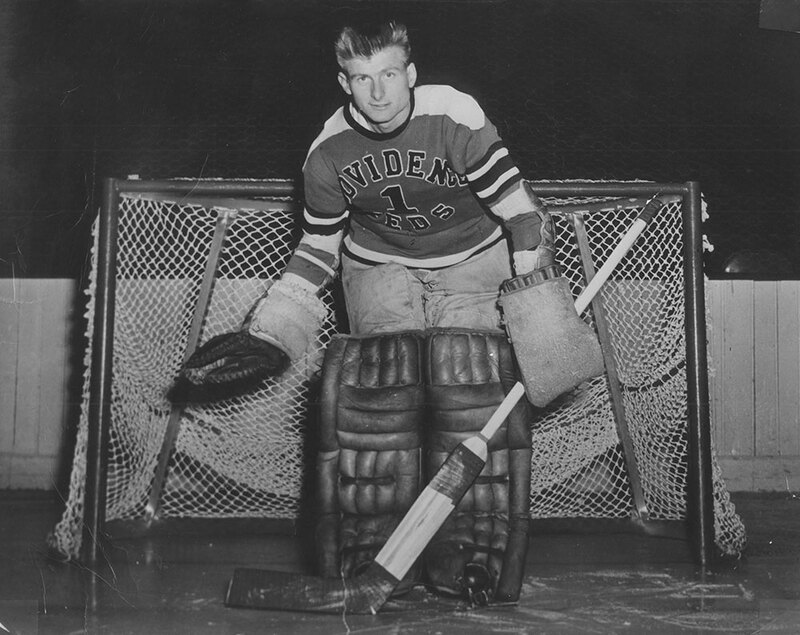 A native of Edington, Saskatchewan, Bennett made his professional debut with the NHL’s Boston Bruins in 1944-45, and was a Second Team All-Star in his first year in the AHL, going 34-15-11 with a 2.68 goals-against average for the eventual Calder Cup champion Hershey Bears in 1946-47. 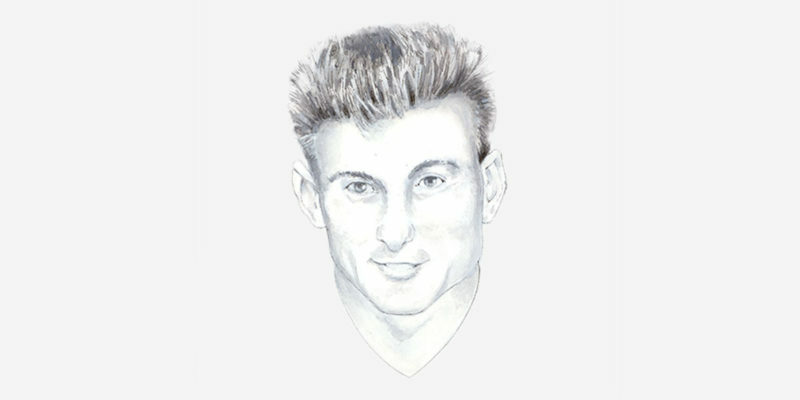 It would be the first of his three Calder Cups. Bennett moved to Providence in 1947 and made it three consecutive seasons leading the league in wins, posting a mark of 40-19-4 in 1947-48 and setting what was then an AHL record with 43 victories (43-18-6) in the 1948-49 campaign. 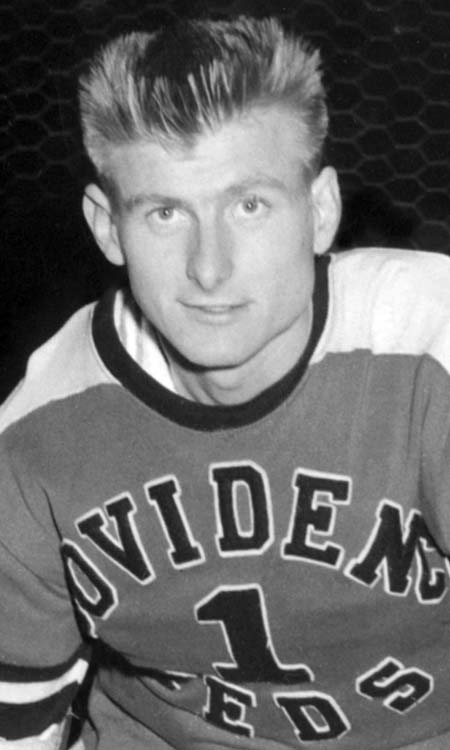 That spring, Bennett guided the Reds to a Calder Cup championship, and he would be a mainstay in the Providence cage for the next six years, returning to the finals in 1952. 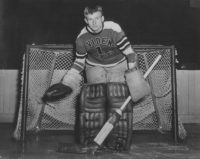 Four years later, on the heralded 1955-56 Reds team, he would share goaltending duties with Hall of Famer, Johnny Bower, and find himself on his third Calder Cup-winning team, later to be recognized by the Society of International Hockey Research as having the greatest minor league season of all time. 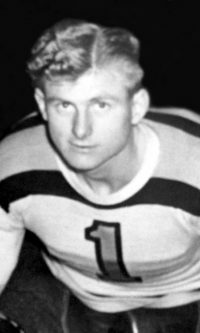 By the time his career ended in 1959, Bennett had appeared in 540 regular-season games and won 260 of them, numbers that today still rank fourth in AHL history. Playing without a mask, Bennett was one of the most identifiable members of the Reds, and his recognition carried into the community as well. 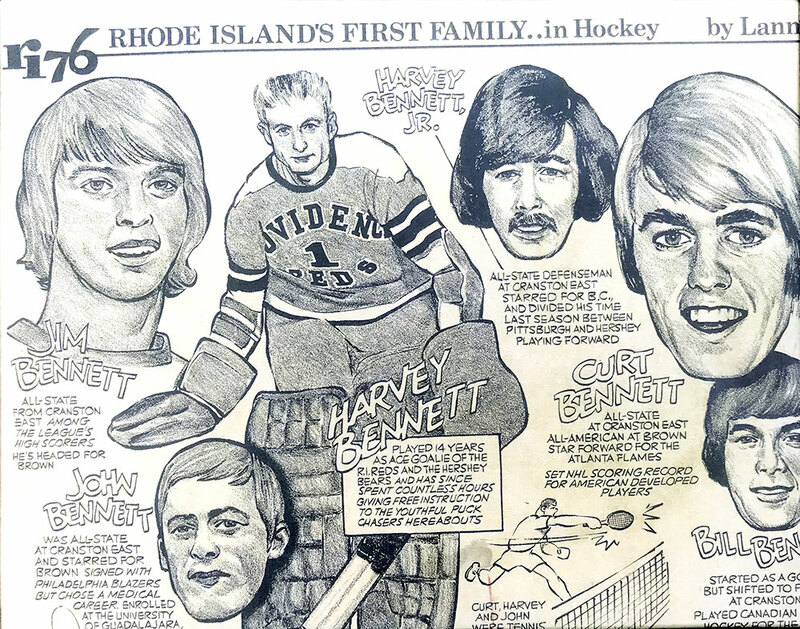 Bennett was a passionate promoter of youth hockey, running a hockey school at the Rhode Island Auditorium on Sunday mornings. 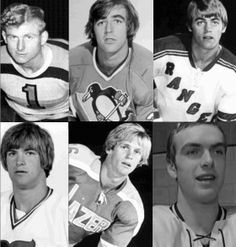 He also opened a hockey pro shop in Cranston, R.I., which nearly 50 years later is still run by the Bennett family. Bennett, who passed away in 2004 at the age of 79, saw five sons play hockey professionally including three – Curt, Harvey Jr. and Bill – who reached the NHL.